Everyone has heard of Kickstarter by now, and every now and then, I make it a point to check out the site to see if I can find something interesting. Today, I found something that is more than interesting both in the technological sense and the humanitarian sense. 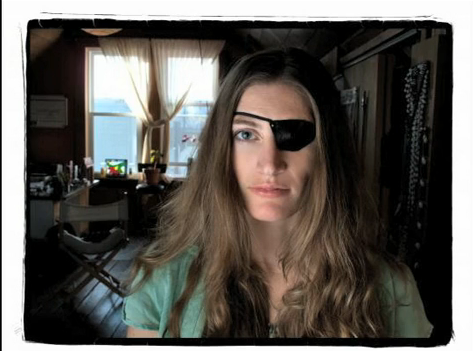 Grow a New Eye is a Kickstarter project spearheaded by Tanya Vlach. Years ago, when Hurricane Katrina hit, all eyes were turned to New Orleans. On the very same day, in another part of the United States, Tanya Vlach got into an accident that cost her her left eye. In spite of all the injuries she suffered, Tanya was fortunate to escape with her life. Many years later, she is living a thriving life and trying to take advantage of what technology has to offer. Tanya got a prosthetic eye after the accident, but she cannot see anything with it. With Grow a New Eye, she is working at incorporating a camera into a prosthetic eye in order for her to experience augmented reality. This is the stuff that science fiction is made of, but in Tanya’s case, it is far from fiction. While the Grow a New Eye project is described as an “experiment in wearable technology, cybernetics, and perception,” it is the real deal! As with other Kickstarter projects, anyone can make a pledge to help reach the goal. For a minimum of $1, you can help Tanya – and more than that, the cause of blind people. (This is a topic very close to my heart as my mom lost the use of one of her eyes a year or so ago due to a botched cataract operation.) If you can spare more, you can give $5, $10, $20 – up to $5,000. Each tier comes with its own perks or freebies, but what matters most is that you can contribute to a bigger cause. The fundraising ends very soon – tomorrow! – so if this is something that tugs at your heart, why don’t you check out the Kickstarter page of Grow a New Eye now? And for good measure, here is a video which can give you a visual overview of the project.